From the plains of Africa, through the great Down Under, up to the the Rocky Mountains of Colorado, My Friend, Mr. Brown meets some new friends dressed in brown. You too can meet meet kangaroos, wombats, giraffes, lions and more as you introduce your early reader to the color brown in a unique book! My Friend, Mr. Brown by S. L. Poulton takes you and your preschooler on an adventure in 30 real life photos taken around the world! 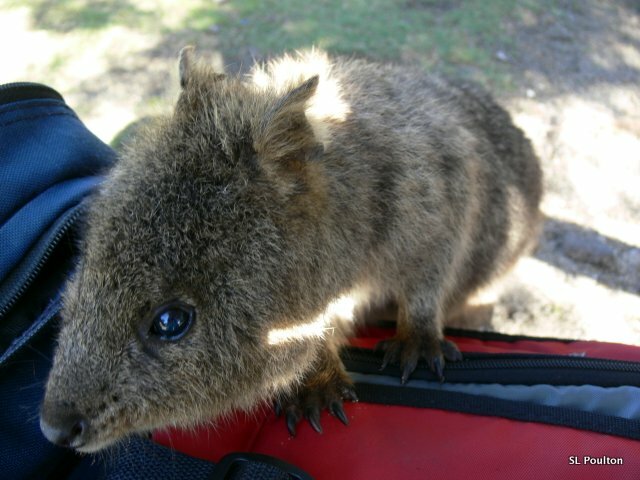 Curious Quokka from Down Under! Click here to buy an 8.5×8.5 Full Color Print Book Today! Read it now on your Kindle, NOOK, iPad and more for only $.99! Click here Multiple Formats on Smashwords! Click here to read it on Kindle Today! NOOK: Mr. Brown on Nook! Multiple formats: NOOK, iBooks, Sony, Palm or a PDF!